Conax Technologies has a history of creative innovation that results in unique product solutions and design improvement. With the HPG High-Performance PG Series, Conax has found a way to improve one of our time-tested solutions. The result is an exclusive, high performance compression seal fitting that is only available from Conax. Employing PEEK® as a sealant material offers unique properties, such as chemical resistance rivaling PTFE, higher operating temperatures, a lower expansion rate, and little to no cold flow—with almost no trade-offs. If you need to seal on a single sensor, electrode, tube or conductor, Conax Technologies has a variety of options for you. For high-performance electrode feedthroughs (8,000V max, 200A max), please request Conax brochure 6068. The HPG High-Performance PG Series compression seal fitting is especially well suited to the unique conditions found in furnaces, autoclaves, environmental chambers, oil and gas applications, and chemical and biochemical reactors, where process temperatures and pressures combine to create challenging environments. 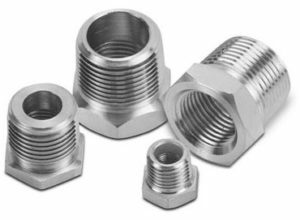 In addition to the bore sizes listed in the chart on page 2, Conax can also provide fittings with metric or custom bore sizes. The HPG Series bodies have special internal configuration for use with Conax PEEK® sealants. Use of other parts or materials will result in lower to significantly lower pressure ratings. Conax Technologies Model PG (Packing Gland) fittings provide pressure/vacuum sealing for tubes, process pipes, cable or any single element assembly (not electrically isolating), including thermocouples, RTDs, thermometers, thermistor probes, capillary tubes, tubewells, multi-pair cables and analyzer sample tubes. 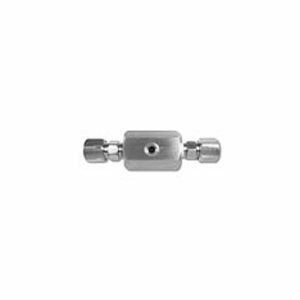 PG fittings seal against gases and liquids and resist element movement under pressure. Pressure or vacuum sealing of thermocouples, RTDs, dial-type thermistor probes, glass thermometers, capillary tubes, ceramic tubewells, quartz tubewells, multi-pair cables, analyzer sample tubes, etc. Optional stocked body materials: Monel 405, Hastelloy C276 & 316SS.